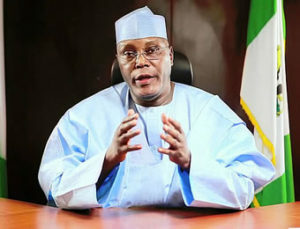 Christian Association of Nigeria (CAN) has received the plans of the presidential candidate of the People’s Democratic Party (PDP), Atiku Abubakar to restructure Nigeria and lead Nigerians to greater heights if he wins 2019. The presidential aspirant made his plans for governance known in Abuja on Monday at the interactive session organized by CAN. 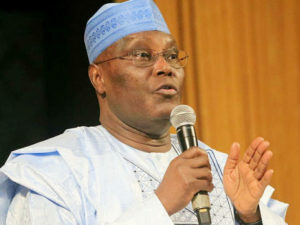 Atiku bombarded President Muhammadu Buhari over his policies that have jeopardized the Nigerian economy leading to economic hardship, recession and massive job losses. CAN however appreciates Atiku for honoring its invite for an interactive session, adding that this is the first time a presidential candidate is honoring this session to disclose his plans for governance. Business Day reports that Atiku spoke for about two hours addressing issues and concerns raised by members of CAN in areas of power supply, women and youth in government, foreign concerns, maternal mortality, economy and insecurity. Addressing the issues, he disclosed he would adopt the “captive power strategy” for power supply which will power the country for his first two years in office. He added that equipping the Nigerian Armed Forces will improve their performance in terms of securing the nation. Atiku however explained that the private sector, not the government should be the highest employer of labour, adding that he would create the right environment to attract foreign and local investors. The event gave the aspirant the window to address other crucial aspects of the country and the way forward, as well as attracted Christians from various denominations as panelists of which Head of Anglican Communion in Nigeria, Primate Nicholas Okoh, Head, Legal of CAN, Barrister Samuel Kwank.ur were among and others.